The DSTV Nigeria guide has now been updated. Use the comment box at the bottom of this page to ask any questions. This post has been very useful for folks looking at setting a dstv satellite TV in a Nigerian home or office? You need to buy a device plus a package. Your device is the hardware(the thing that looks like a dvd player). Your package is the subscription. Payment for the device is done once. And the subscription? – You’ll pay monthly. If you looking at upgrading to DSTV Nigeria for the first time… You may wanna go for something inexpensive. This implies that the least cost for setting up dstv cable in Nigeria is N9,900. They call it the Total Initiation cost. Gotv Nigeria is cheaper though. In the course of this post – I will show all the available DSTV Nigeria package Device combination and prices plus all the available channels on each bouquet. Here is a quick side by side comparison of the two DSTV Devices. The HD Decoder goes for just N9,900. Explora + Dish Kit + 1 Month DStv Premium Subscription + Smart LNB = N38,300. Explora + Dish Kit + 1 Month DStv Compact Plus Subscription + Smart LNB =N33,500. Explora + Dish Kit + 1 Month DStv Compact Subscription + Smart LNB = N29,900. HD + Dish Kit + 1 Month DStv Premium Subscription = N18,300. HD + Dish Kit + 1 Month DStv Compact Plus Subscription = N13,500. HD + Dish Kit + 1 Month DStv Compact Subscription = N9,900. HD + Dish Kit + 3 Months DStv Access Subscription = N9,900. 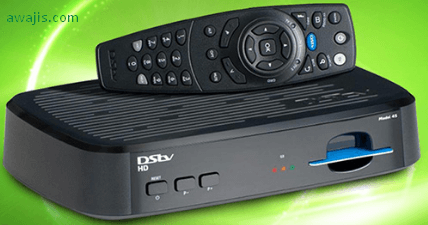 Here is the complete list of DSTV Nigeria packages and their updated prices. These DSTV Bouquets and prices was last updated on 13/05/2016. Mind you it’s not just Free to Air. it’s free to air PLUS. This bouquet was launched recently. It consist of just 6 channels. The channels are Lagos TV, MiTV, Channels, AIT, Silverbird and NTA. The next on the list is Dstv Access which cost N1600 per month. This used to be the cheapest package from multi choice. It has over 80 channels. DSTV family – just as the name suggests is the recommended bouquet for families. It has the right amount of everything. A total of 99 channels. Sports, Entertainment, News, Drama, Religion et al. The DSTV Family bouquet has a whooping 22 entertainment channels. The DSTV Compact bouquet offers access to some more premium channels. It offers 10 News and commerce channels, 6 specialists channel, 4 documentary channels, 7 religion channels, 6 sports and 37 general entertainment channels. In total, there are 147 channels on the compact package. Other premium channels available are M-Net Action and M-Net Series. The DSTV Compact plus bouquet has a variety of entertainment channels plus and lots of value added services on request. Did I mention this is where you get all the European soccer? It is. It’s has a total of 166 channels. There are 8 sports channels. This the best package on the Dstv bouquet. There are 173 channels in the DSTV Premium package. Not surprisingly, It’s also the most expensive. It has 51 general entertainment and movie channels. No African magic in DSTV assess (1900)? I'm interested in these : Explora + Dish Kit + 1 Month DStv Premium Subscription + Smart LNB = N38,300. Is it still available for that price? If yes, how do I get it? I want these: Explora + Dish Kit + 1 Month DStv Premium Subscription + Smart LNB = N38,300. Is it still available for that price? If yes, how do I get it? I want 2 decoders only for dual view. What will it cost me? Pls i have DSTV Dish but my decoder is faulty. Is it possible to buy decoder alone and what is the price? Please what is the cost for explora and HD dstv decoder and one month subscription in US dollar. I believe that is normal for their Explora decoder.